For me, nothing tastes better after a hot summer day than sangria. 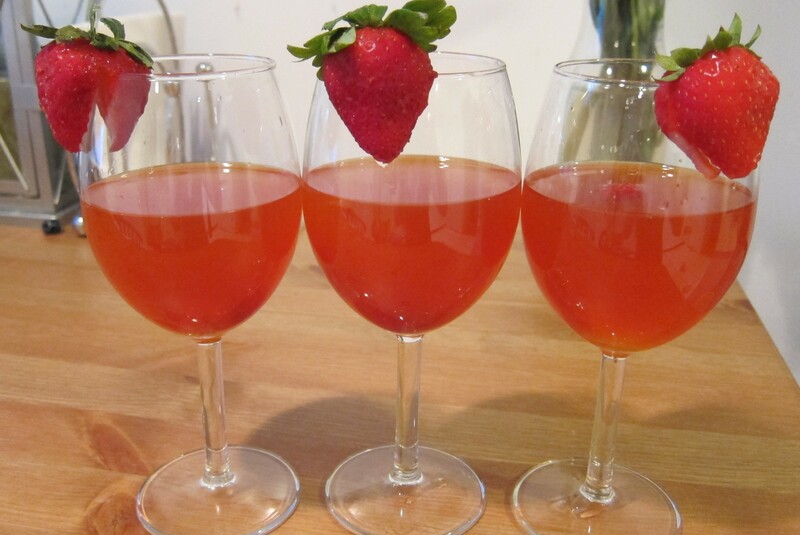 We make a lot of sangria over here and with this past weekend being L’s birthday, we wanted something new and fun! (and a little less like the rocket fuel we had made last month =) L picked out this recipe from Everyday Food and it was really good! The original ingredients had lemon lime soda, but there are some non-soda fans in the apartment so we switched it out for the mango lemonade. Fantastic decision. 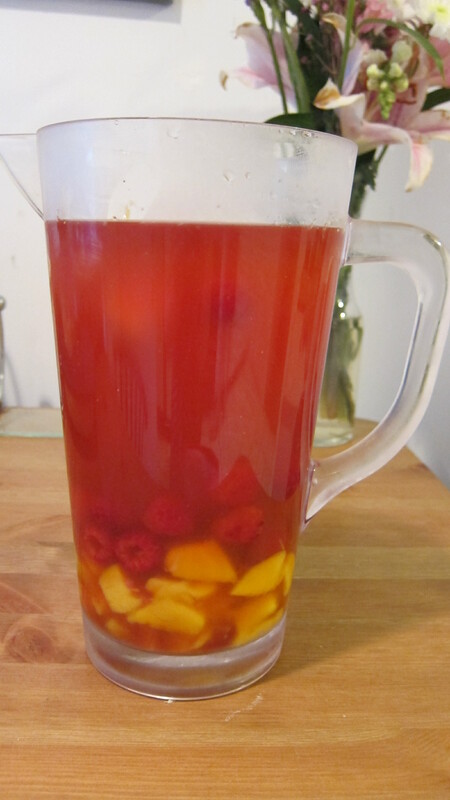 Mix mango, raspberries, liquor, wine, and lemonade in a pitcher and chill for at least one hour.